It’s very satisfying to go back in time and watch the origin story of a character you’ve come to know well from a long-running series. 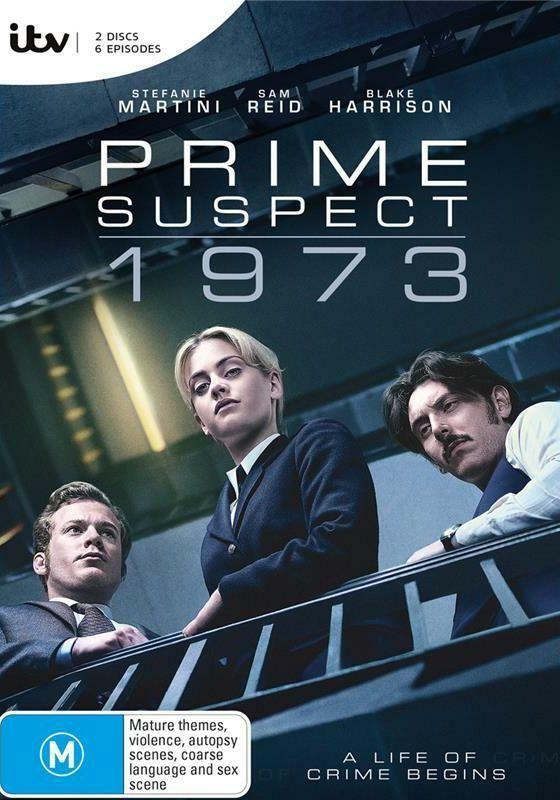 In Prime Suspect 1973, that’s exactly what happens, as newcomer Stefanie Martini plays Jane Tennison as a 22-year-old probationary constable based at Hackney police station. Martini is convincing as this innocent, naïve, not yet confident, but highly passionate and dedicated younger version – one far from the self-assured Helen Mirren we’re used to in the role. This series follows the investigation of the brutal murder of young woman Julie-Ann Collins, on the local housing estate. The victim is a runaway and drug-user, so CID is quick to look for a drug-deal gone bad as the motivation. Concurrently, career criminal Clifford Bentley is due to be released from prison and is planning a big hit when he gets out. The two investigations inevitably intertwine. As the episodes unfold, we see Jane deal with ingrained precinct sexism as well as difficulties at home, where her parents don’t consider policing to be a suitable or worthy career choice for her. Jane has some allies in Detective Inspector Len Bradfield (Sam Reid) who takes Jane under his wing and encourages her to ask questions and speak up when she believes she has spotted something others have missed; and fellow constable Kath Morgan (Jane Gunning) who offers advice and is someone for Jane to look up to, especially when Kath is offered a position in CID, which is where Jane aims to be one day. It’s enjoyable to watch these early, awkward and flawed stages in Jane Tennison’s character: she is yet to exert her brilliance, but there are glimmers of who she will one day become. Suzanne Steinbruckner works as a bookseller at Readings St Kilda.